Sarah Palin does what Sarah Palin does, which is attract attention. And the media do what the media do, which is get attracted to attention. After many weeks of (thankfully) relative quietude, Sarah Palin took to the road starting this Memorial Day weekend to do, well, no one actually knows what she is doing, but do it she did. Avid readers of PGH will know that we long ago detailed why Sarah Palin won’t be running for President. And contrary to the ratings prostitution of the MSM and blogosphere, PGH isn’t falling for her latest little stunt any more than her previous stunts. This blog had intended to spend time talking about serious candidates for the Republican nomination (the Democratic nominee is pretty much a given), but since there don’t seem to be too many serious candidates for the Republican nomination I guess I’m stuck with the periodic pronouncements of Palin’s partying. So to save us all some time – no, Sarah Palin isn’t going to run for President. There, that was easy. Any questions? 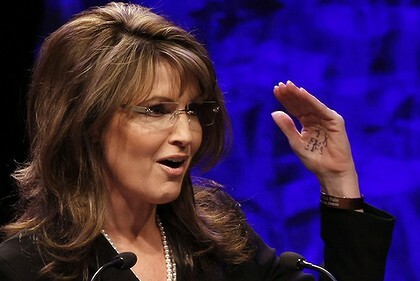 Oh, and the tea party loves Sarah Palin.